Princeton HealthCare System, which includes a 355-bed hospital based in Plainsboro, New Jersey, is participating in the Medicare Shared Savings Program and has an accountable care organization and has a commercial clinically integrated network. Not many healthcare organizations can say that. The challenges, however, left the healthcare organization struggling to find a way to manage all of the shared-risk contracts with multiple payers across those three models while making actual improvements in patient care. Princeton HealthCare believed it found the answer in the population health management platform of vendor Lightbeam Health. The hope was that the platform would help the health system meet five major challenges. Challenge 1: Identifying trends in spending. Princeton HealthCare needed to identify high-cost patients and high-cost practices, then use claims that data to focus on high-risk, high-cost patients for better care management. Challenge 2: Using data to produce dashboards. Princeton HealthCare wanted to share analytics findings with its practices to let them know their utilizations and expenditures – and how they compare with those of other practices and be able to present information via its own dashboard. Challenge 3: Aggregating clinical and claims data from different sources. Lightbeam said it puts different components together in one platform: One can have claims analysis, care management, quality metrics and Group Practice Reporting Option data all in one place. Challenge 4: Tracking specific admissions. Princeton needed to know when its patients went to the hospital and know when to support them through transitions of care. Challenge 5: Aggregating and monitoring disparate quality metrics. Princeton established clinical feeds from different EHR sources sending quality measure data, which is helpful for monitoring how practices are doing with their quality performance but also helpful for ACO and MIPS reporting. Other vendors include athenahealth, Allscripts, CareEvolution, Cerner, Elekta, Epic, Geneia, GSI Health, Health Catalyst, Innovaccer, InterSystems, MAP Health Management, Optum, VitalHealth Software and ZeOmega. The technology enables Princeton to undertake population health, participate in the Centers for Medicare and Medicaid Services CPC+ program, meet CPC+ requirements, and strive to achieve the MSSP goals of producing high quality care in a cost-efficient manner. Princeton implemented the pop health tech at the same time it became a CIN and joined the MSSP program because it knew it wouldn't be able to look at the data and interpret it, aggregate quality data from disparate practices, or track admissions otherwise, said Tobe Fisch, MD, internal medicine doctor at Princeton HealthCare. "We incorporated claims files from all our insurers – Horizon, Aetna, BCBS New Jersey – and the MSSP program," she explained. "We have contracts with Horizon and Aetna in a value-based performance arrangement, and we're a Track 1 ACO – so the platform enables us to evaluate claims data, look for trends in utilization and expenditure, and especially to identify high-cost patients as well as member practices with higher than average utilization and expenditure patterns." Princeton also uses the pop health platform data to focus on high-risk, high-cost patients for case management – to share data with practices on their average expenditures, their utilizations, and how they compare to other practices. "We have an HL7 feed from our EHR, which used to be the hospital's registration system, but now comes from Epic, so we send ADT messages from Epic to Lightbeam and compare against our rosters of patients from various insurance collaborations," Fisch explained. "We also compare our cohorts of patients who are admitted, so we're careful to follow up with those patients." So the pop health platform helps Princeton HealthCare with financial analytics, care management and regulatory reporting requirements, she said. "We use data in front of providers to guide them; we update them on expenditures for patients; letting them know about patients who we're admitting, and about gaps in care," she said. "The people who run the ACO as well as the care managers use the platform constantly, but the individual providers have not been accessing the platform directly in our system." 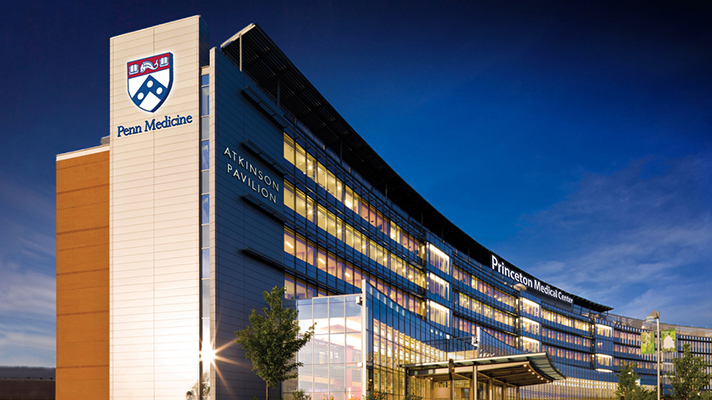 Princeton HealthCare has reduced inpatient utilization by 5 percent. This was done, Fisch said, by enabling the organization to track admissions and readmission of high-risk and/or high-cost patients so that the organization knows where to focus its efforts in improving care management. In addition, the platform, combined with other strategies, has helped Princeton reduce expenditures in post-acute care by 12 percent since it began the MSSP program in 2016. Princeton also partners with a cohort of higher-performing SNF facilities to collaboratively reduce costs and to ensure quality for its patients who go to those facilities. The healthcare organization regularly presents the data it gets from the pop health platform at its quarterly meetings with this cohort, and that gives Princeton a lot of traction in advancing its goals, she added. The population health management technology also helped Princeton with participation in its value-based programs in general, which Fisch said it could not have done otherwise. "The $1.5 million in non-claims based payments from CPC+ allows us to fund our care managers, and this greatly enhances our ability to deliver high-quality and well-coordinated patient care, so we count that as a success," she added. "Don't underestimate the complexity of transferring data from one system to another,” Fisch said. “Remember that not all claims files are created equal, so choosing a vendor with experience parsing and analyzing claims files from different insurers is important." If one is dealing with transfer of structured clinical data from an EHR, it's enormously helpful to start out with a good understanding of the data structure and data element mapping in the EHR, she added. "Clinical data mapping is often most successful if the EHR and population analytics vendors have an established working relationship or agreement in place," she said. "Finally, try to get a good sense of what the user interface of the analytics system is like. A user-friendly interface will greatly ease widespread adoption of the platform, and is a big bonus, all other things being equal."